Liverpool Stepping Up Chase For Paulo Dybala: The Right Choice For The Reds? According to a recent report by Tuttomercato, Liverpool are getting quite serious about their pursuit of Juventus forward Paulo Dybala during the summer transfer period. The same source has revealed that the Reds are ready to steal a march on the competition and are lining up a move for the Argentine striker at the end of this campaign. Jurgen Klopp’s side were outstanding with their productivity in the final third last season. However, the goals seem to have somewhat dried up in this Premier League campaign thus far with Mohamed Salah struggling to find the back of the net of late while Roberto Firmino has also failed to replicate his incredible form from the previous campaign. On a positive note, Sadio Mane has been a revelation, and a lot will ride on the Senegalese international’s shoulders over the coming weeks as the Merseyside club prepares to finish the season strong by challenging for both the Premier League and the UEFA Champions League trophies. It seems like the Reds could benefit from acquiring a quality front man this summer and there are only a few better forwards in European football than Dybala. The Argentine sensation has lit up the Serie A with a string of match-winning displays for Juve during this campaign. He has registered nine goals and six assists in 35 matches this term across all competitions. The Argentine’s numbers this season is quite similar to Firmino’s so one could argue whether he would be an upgrade over the Brazilain maestro. However, Dybala will undoubtedly bolster Klopp’s attacking options significantly at Anfield and will also add some serious competition for the likes of Salah, Mane and Firmino. Hence, he is a target worth pursuing. Dybala is quite tricky to deal with for any defender and can be a real handful because of his blistering pace and guile in the opposition half. He also has an incredible turn of speed which helps him dribble with the ball quite effectively down the wide areas. Furthermore, the Argentine’s greatest strength is his ability to create plays for his teammates which is something that Klopp’s side have lacked over the past few weeks. All in all, the 25-year-old will be a great fit at Liverpool, so the Merseyside giants should do everything they can to seal a move for him next summer. Arsenal Plotting A Move For This Argentine Winger: What Will He Add To Emery’s Side? 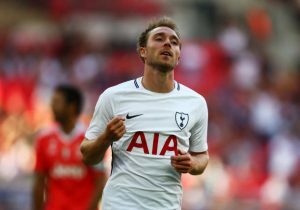 Tottenham Hotspur Playmaker Being Targeted By Juventus: Worrying Sign For Pochettino? Chelsea Turn Attention To 29 Y/O Speed Merchant From Juventus: Good Fit For Conte? Manchester United Linked With A Move For This Serie A Dazzler: Ideal Man For Jose? 25 Y/O Chelsea Striker Unlikely To Leave Stamford Bridge In Summer: Big Boost For The Blues? Arsenal Retain Interest In Former Chelsea Flop: Can Wenger Finally Land Him? 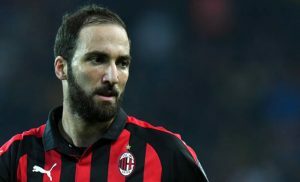 Chelsea On The Verge Of Signing This Serie A Goal Machine: What Will He Bring To Stamford Bridge?